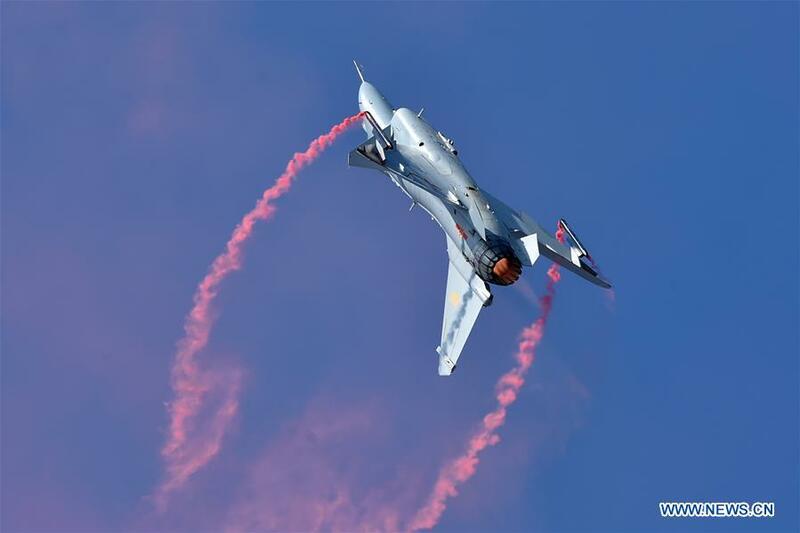 For Chinese aerospace and defense firms, the biennial China International Aviation & Aerospace Exhibition in Zhuhai, China, is considered the only place to debut the latest and greatest hardware. 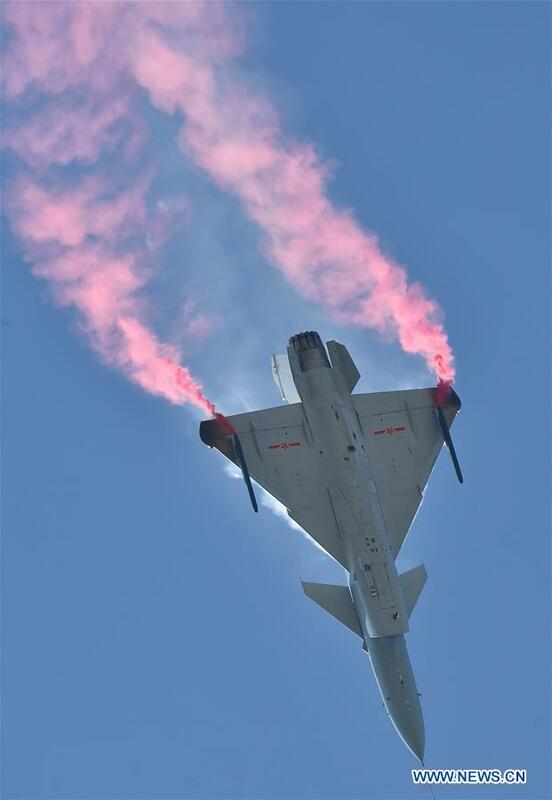 During the last exhibition in 2016, China debuted the fifth-generation Chengdu Aircraft Industrial Group J-20 stealth fighter – China’s response to American fifth-generation fighters like the Lockheed Martin F-22 Raptor and F-35 Lighting II – with a brief flyby during the opening ceremony. 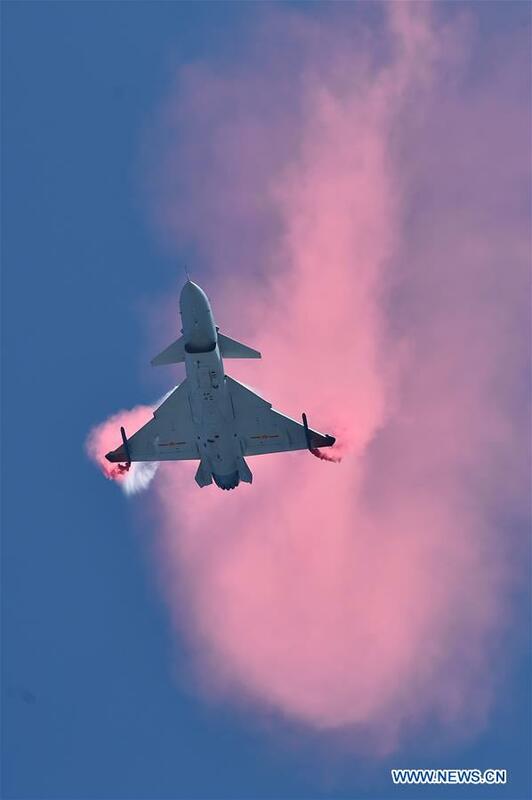 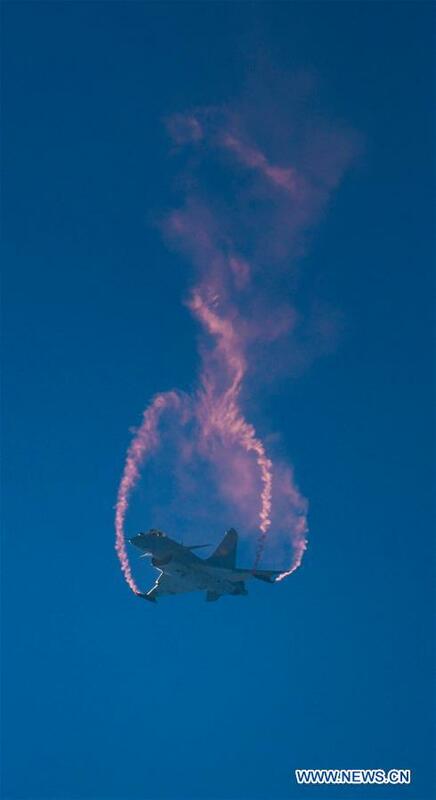 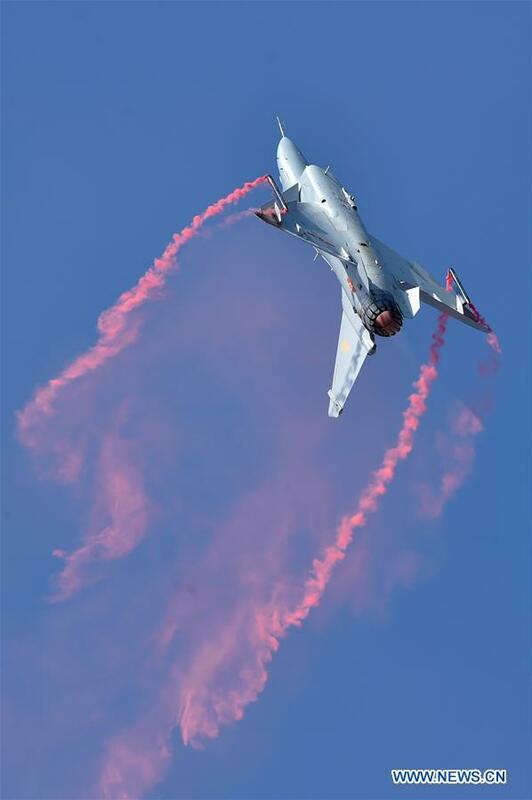 This year, at the exhibition, commonly known as Airshow China, a Chengdu twinjet J-10B multirole fighter demonstrated the Shenyang Aircraft Corporation’s WS-10G thrust-vectoring turbofan engine with an aerobatics demonstration that included the Pugachev’s Cobra maneuver. 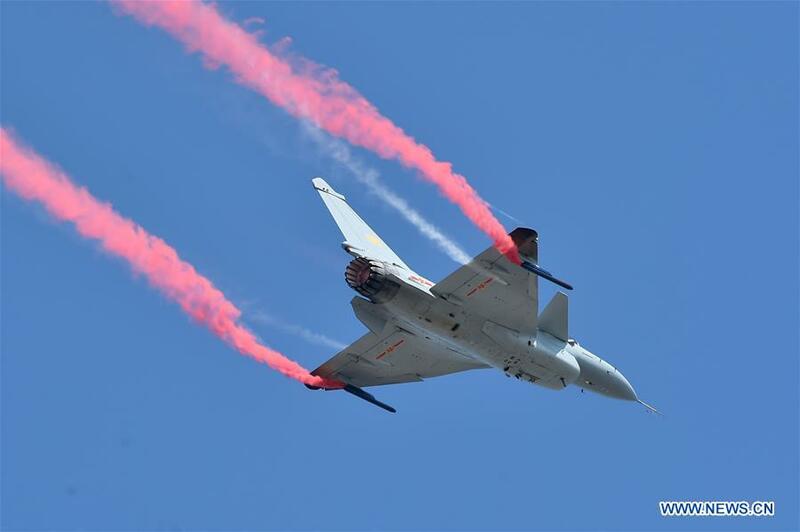 The new thrust-vectoring engine – China’s first – increases the J-10B’s agility and could give the fighter an edge when evading threats or engaging enemy aircraft. 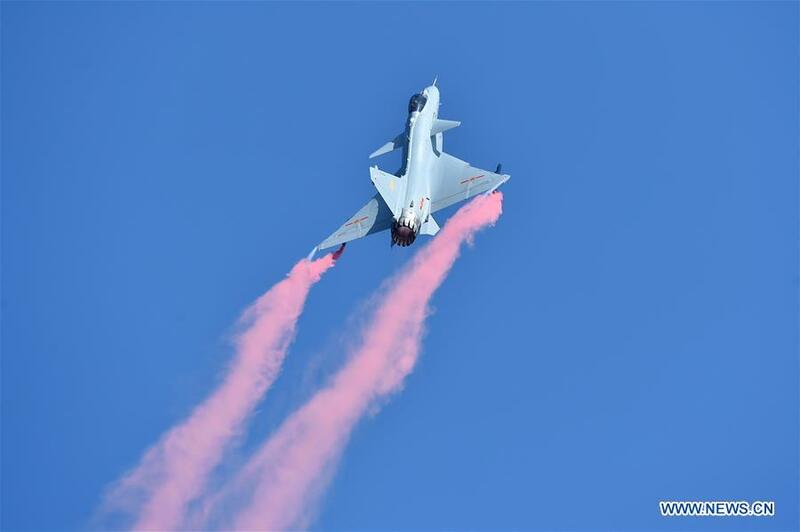 To following images from the Xinhua News Agency, a Chinese state-owned media organization, capture the J-10B’s performance at Airshow China 2018.